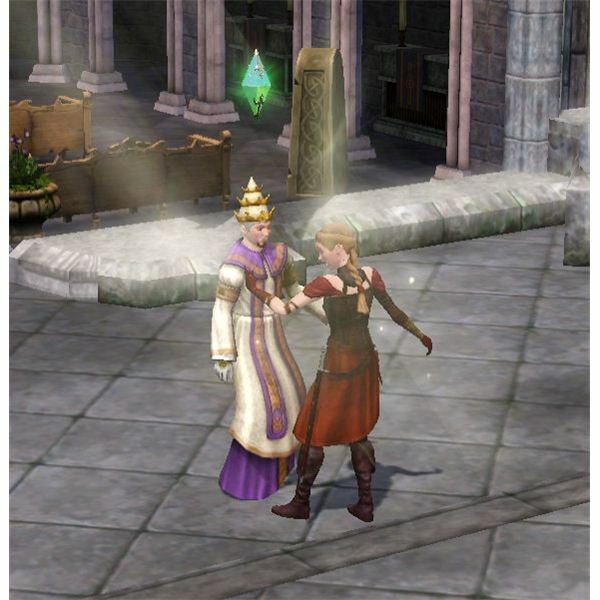 The Monarch hero Sim in “The Sims Medieval” is a very fun Sim to play as in the game because you rule the Kingdom! You get to set how the Kingdom is ran, decorate the castle, interact with the royals from other Kingdoms, and much more! The building that is associated with this hero is the castle. It is already placed when you start your game, and from there you can create your very own King or Queen to play with. 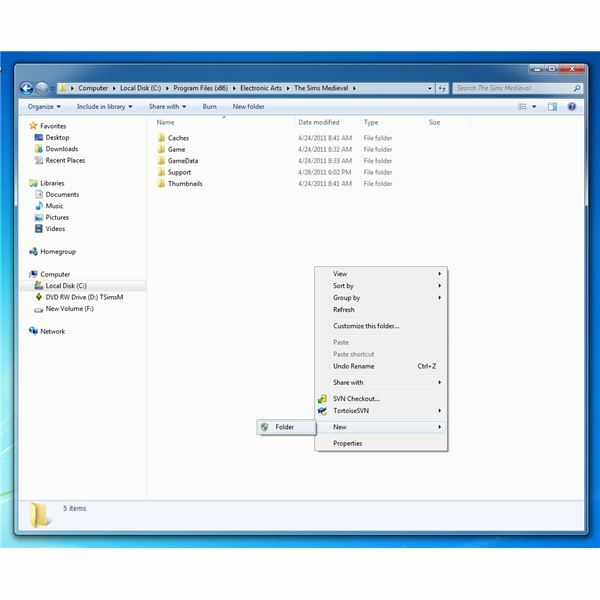 All of the heroes that are in “The Sims Medieval” are able to use special items and have special abilities that only they can do. The Sims Medieval Monarch uses the tactical map, throne and scribe table. 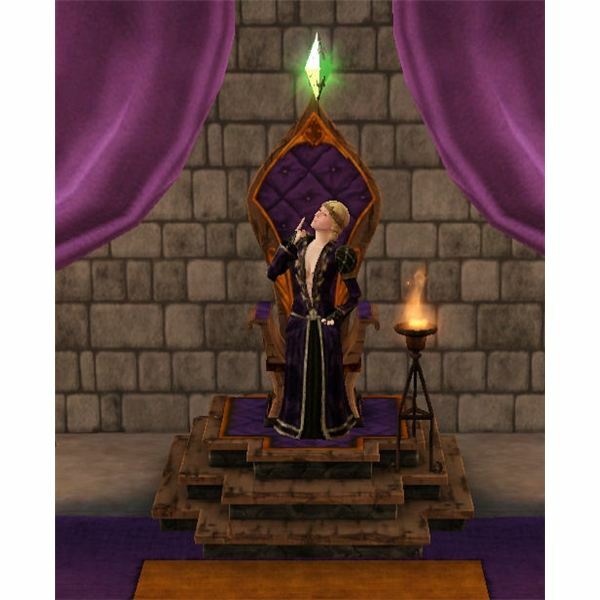 The Sims 3 Medieval throne is fully customizable, so have fun with this! The Monarch’s special abilities are all about ruling the Kingdom. They are able to “Hold Court” at the throne and listen to the petitions that Sims have for you. If you approve it, your popularity goes up, if you deny the petitions, this goes down. They also have servants and are able to “Call for Food” when hungry. Generally, good food will be made, but it isn’t anything spectacular. 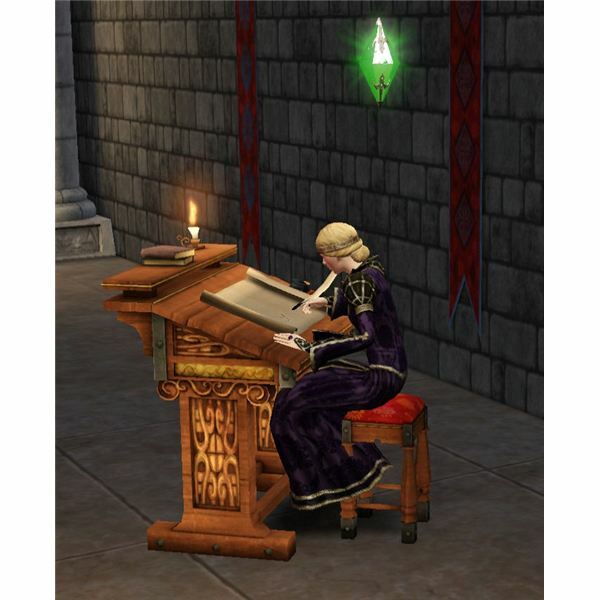 The Monarch can also use the scribe table to earn experience points by “Writing New Laws.” This is an interaction often given as a daily quest. They are also able to use the tactical map in order to interact with neighboring territories by practicing strategies (which also earns a good amount of experience points). You can use this to view the political situation for the Kingdom, and propose and vote on The Sims Medieval edicts. They are also able to engage in sword fighting with other Sims or practicing on a training dummy. Each of these interactions earns the Monarch experience points. The Monarch is able to punish other Sims for crimes or just for fun. 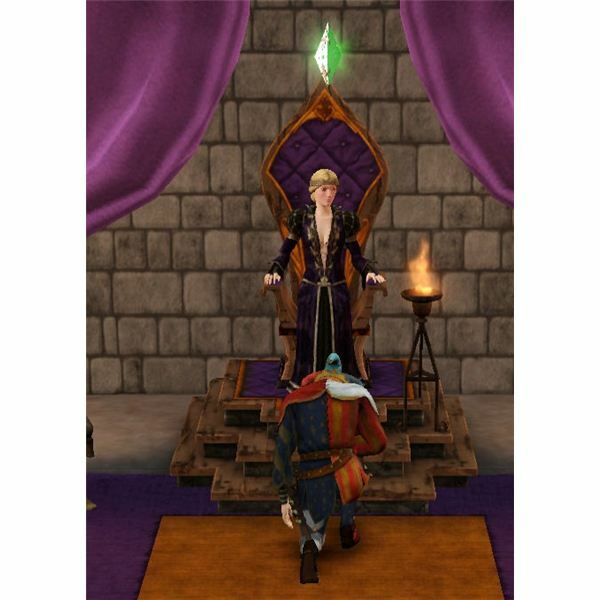 If a Sim falls into bad graces with the Monarch, the King or Queen is able to send them to the Judgment Zone to either the Stocks or the Pit. To really live life like a royal, you should go ahead and use The Sims Medieval cheats. With the use of the money cheat, you can purchase anything you want for your castle and for The Sims Medieval Hero Monarch. If you don’t want to use cheats, your hero will still earn money by the ways listed below. Daily Income – the Monarch earns money each day based on their level. The higher the level the Monarch is, the more money they will earn. Set Taxes – once a Monarch reaches level 10, they can set the taxes in the Kingdom, which is money you will earn! Threaten other Sims – a Monarch is able to threaten other Sims which often generates some income. Sometimes it will also leave your King or Queen injured and earn them a bad reputation. The heroes that are in “The Sims Medieval Limited Edition” can only reach level 10. Reaching that goal is quite fun for each of these heroes though, and along the way you unlock some very cool things for your hero. The Sims Medieval hero Monarch level progression is shown below.